THIS ITEM IS CURRENTLY AVAILABLE for SPECIAL ORDER ONLY - expect to ship in 1-2 weeks from placing your order. Orders of less than 5 may ship sooner. 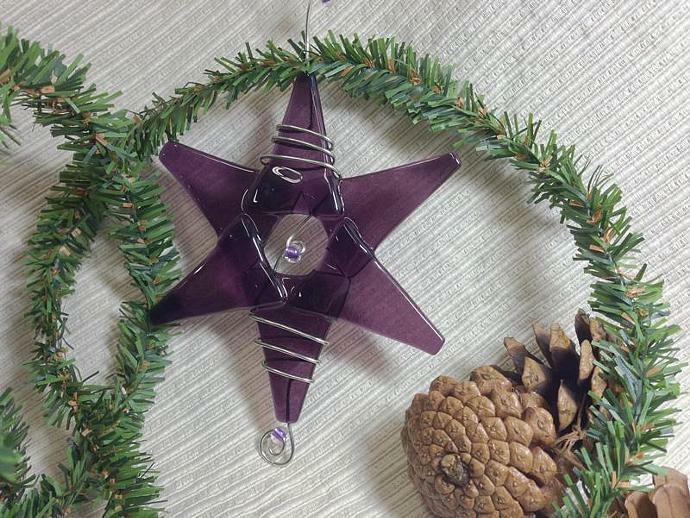 THIS 6-POINTED STAR is created with Light Purple fusible glass, wrapped with Silver colored wire and embellished with sparkly lavender glass beads. 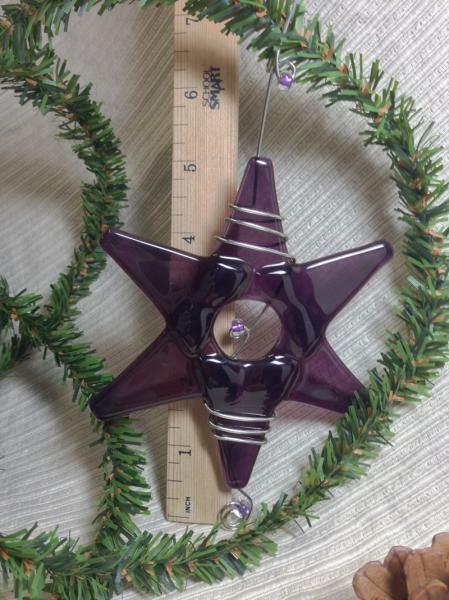 It is ready to hang on your Christmas tree for the holidays, as a Hanukkah decoration or as a beautiful sun catcher in your favorite window at anytime of the year. 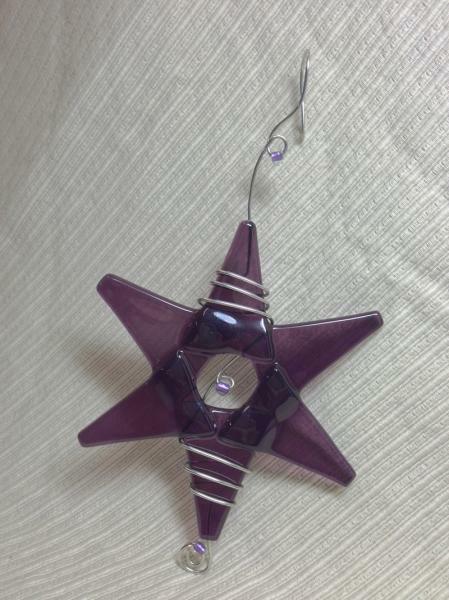 EACH GLASS STAR is created by hand-cutting the glass and then fusing the pieces together in a kiln at 1450 degrees. 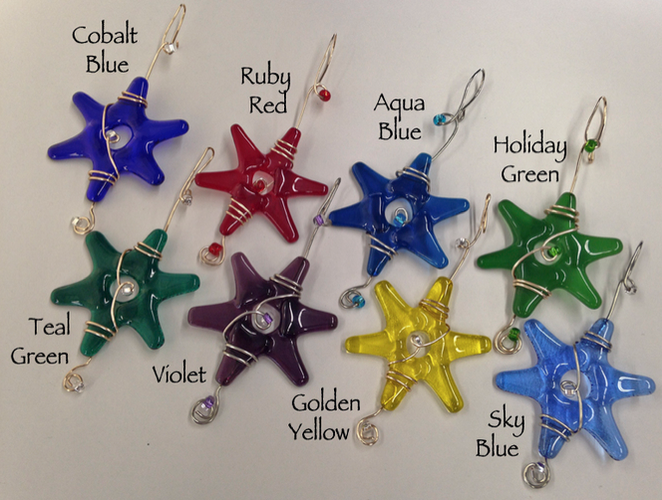 Each is individually crafted by me and is approximately 5 1/2 " x 5 1/2". Each one is kiln annealed for durability, however, they are still fragile if dropped or banged on a hard surface. ALL OF MY CREATIONS are original designs. The handmade quality and creativity are what set my work apart from mass-produced products. 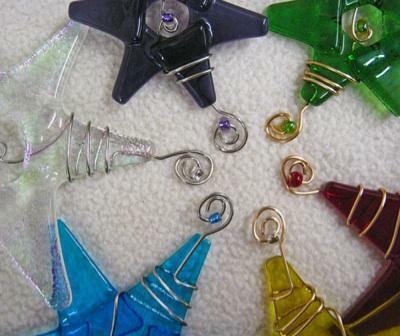 Color, size, and texture variations contribute to the uniqueness of each piece. *Please contact me for International shipping prices.